Growing up in North Trenton, I didn’t have too many friends. Well, actually, I did have one friend: my television. I spent many hours taking in all kinds of entertainment with that TV. I was glued to everything on MTV, grew to love Tales From the Crypt, and memorized many episodes of Full House while watching that thing, but some of the best times of day were the early afternoons, when sitcoms from years past would play during summer vacation. One of them was One Day at a Time, which ran for nine seasons, from 1975 to 1984. It was created bit sitcom svengali Norman Lear about a divorcee raising two daughters (one of which was Valerie Bertinelli, who was kind of a crush). 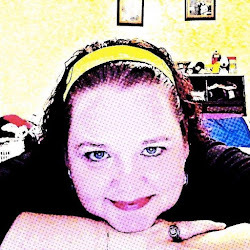 At the time, I recognized it for its worth, from the memorable theme song (“This Is It” by Polly Cutter) to its legacy of bringing feminism and real-life parenting to television. It was one of the beauties of a Lear program, and was something I was intrigued about when I’d heard that Netflix was remaking the series to air in January of 2017. The new series was about a Cuban family and featured a divorced mother of two children (this time a boy and a girl), her exiled Cuban mother...and a dude named Schneider (hey, if it ain’t broke). My wife had peeped the first few episodes on Netflix and was enamored, and suggested we watch. While my TV viewing has always gone back to sitcoms, my day job has me watching more series than I can keep up with, meaning that it’s hard to just watch TV to enjoy TV. That said, once we started running through this new iteration of One Day at a Time, which brought in everything from PTSD (the mother, Penelope, is a veteran who’s on anti-depressants) to LGBTQ issues (her eldest child, Elena, comes out as a lesbian during the first season) to the plight of immigrants living in America today...it was heaven. You see, while some of my favorite shows are about superheroes or fantastical situations, you need television that makes you laugh (and more importantly, think) about the world around you. This new school edition of One Day at a Time did that, and well. And when word hit that season two would be premiering on Netflix on January 26, 2018, I was excited. My regular TV viewing needed this. All of that said, this second season hits all of the notes of the first, and then some. Justina Machado’s Penelope had a lot to deal with in season one, from her ex-husband coming back and completely shunning their lesbian daughter to trying to find a way to focus on having her own love life. Season two touches on both, with the family having one truly-emotional episode drawing parallels between Elena’s birth and their current-day. One of the series’ shining stars is Rita Moreno, who at 86 is still a pistol, playing Penelope’s mother Lydia with grace and fire. She’s always around to remind the family of the old ways, but will surprise you with how current some of her feelings about life are. The children, Elena and Victor, are growing as well, with Elena growing up as a woke Latinx in today’s society, while Victor is caring, but also trying to work his charm into a cushy life. I’d love to sit here and spoil this series for you; there are some awesome standalone episodes, with others that will hit you all in your feels. It’s a quality binge, with hope for a season three (we’re waiting on you, Netflix). 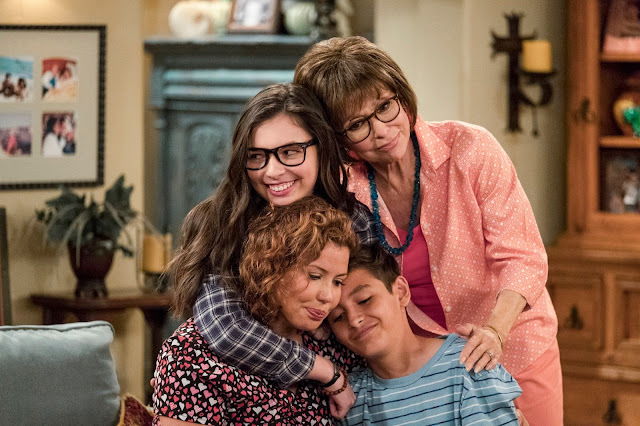 From the Gloria Estefan-remake of “This Is It” to this glorious cast reimagining a quality sitcom series, One Day at a Time’s second season is one you shouldn’t miss. And now, I have a friend (my wife) and my son to watch the show with as an adult, allowing us to have discussions about what’s really real in today’s world, from LGBTQ issues to what it means to be a good person. We’re walking through it, together, one day at a time.